University Press of Mississippi, 9781496821164, 238pp. 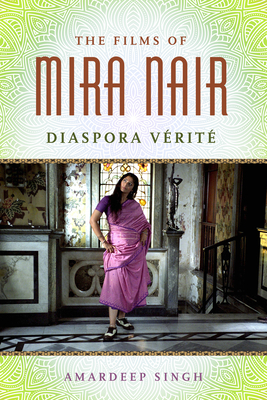 The Films of Mira Nair: Diaspora V rit presents the first, full-length scholarly study of her cinema. Mira Nair has broken new ground as both a feminist filmmaker and an Indian filmmaker. Several of her works, especially those related to the South Asian diaspora, have been influential around the globe. Amardeep Singh delves into the complexities of Nair's films from 1981 to 2016, offering critical commentary on all of Nair's major works, including her early documentary projects as well as shorts. The subtitle, "diaspora v rit ," alludes to Singh's primary theme: Nair's filmmaking project is driven aesthetically by her background in the documentary realist tradition (cin ma v rit ) and thematically by her interest in the lives of migrants and diasporic populations. Mainly, Nair's filmmaking intends to document imaginatively the experiences of diasporic communities. Nair's focus on the diasporic appears in the long list of her films that have explored the subject, such as Mississippi Masala, So Far from India, Monsoon Wedding, The Perez Family, My Own Country, The Namesake, and The Reluctant Fundamentalist. However, a version of the diasporic sensibility also emerges even in films with an apparently different scope, such as Nair's adaptation of Thackeray's Vanity Fair. Nair began her career as a documentary filmmaker in the early 1980s. While Nair now has largely moved away from the documentary format in favor of making fictional feature films, Singh shows that a documentary realist style remains active in her subsequent fictional cinema. Amardeep Singh is associate professor of English at Lehigh University and author of Literary Secularism: Religion and Modernity in Twentieth-Century Fiction. His work has appeared in The Encyclopedia of Postcolonial Studies, South Asian Review, Literary Compass, and Journal of Postcolonial Writing.